One of the most renowned stars of British acting is set to be honoured with the freedom of Belfast, it can be revealed. 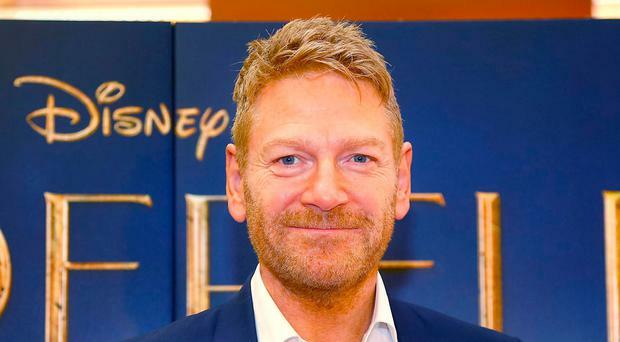 Sir Kenneth Branagh was born in north Belfast and spent his early childhood in the city before his family moved to England. Since then he has gone on to establish himself in theatre, big screen movies, on television and also directing productions, winning three BAFTAs along the way. He grew up in the Tiger's Bay area of Belfast and attended Grove Primary School before his family left Northern Ireland when he was just nine, but Sir Kenneth told the Belfast Telegraph last year that he always regards the city as his home. Former Lord Mayor Brian Kingston nominated Sir Kenneth for the honour in April this year in recognition of his "outstanding achievements and international status in drama and cinema, as an actor, director, producer and screenwriter". As is the council procedure for such requests, this was put to the party groups, and it received "overwhelming support". Minutes for a meeting of the Strategic Policy and Resources Committee due to take place on Friday also record that Sir Kenneth has indicated that he would be honoured to accept the award. Councillors attending that meeting have been recommended to agree to award the Freedom of the City to Sir Kenneth, and that a Special Meeting of the council be convened at 6pm on Monday, October 2. Speaking to the Belfast Telegraph last year, Sir Kenneth said his first taste of what became his life's passion came at the old Grove Theatre on the Shore Road. "I went to see the great Joseph Tomelty playing the Ghost of Jacob Marley in a production of Scrooge, and I remember that being very powerfully impactful on me," he said. "I was also aware then of an actor called Stephen Rea. He was talked about in our household as a 'proper' actor. So there was a great pride in those who were achieving a degree of prominence." He starred as Billy, in the Billy Plays, set in Belfast in the early 1980s, before mastering Shakespearean plays in London's West End, and also starred in a number of movies, most recently epic war movie Dunkirk. He is currently directing and starring in a film adaptation of Agatha Christie's detective novel Murder on the Orient Express, alongside Judi Dench and Johnny Depp. Sir Kenneth will be the 82nd person to receive the Freedom of Belfast, following in the footsteps of Michael Longley and Van Morrison.